The proposals have been developed with the aim of placing the whole English fleet onto a more sustainable footing. Fishermen will have more control over how they operate and better opportunities to profit under plans to overhaul the way fishing quotas are managed in England, Fisheries Minister Richard Benyon announced today. Proposals to simplify the way quotas (the amount of fish that fishermen are entitled to catch) are managed would let the industry plan better for the future, putting more control in the hands of small-scale fishing fleets and fishing communities. “We need a simple, straightforward system that gives fishermen more say, and gives the communities that have such strong links to their fishing fleets the opportunity to invest and be involved in the way their local fleet is managed. The proposals for community quota schemes focus on safeguarding small-scale fleets, enabling fishermen and other local businesses and organisations to work together to manage their overall quotas flexibly, along with increasing their ability to swap and purchase quotas and connect better with markets. These groups would also have a seat at the table in discussions with Government, regulators and industry. realigning fishing opportunities, moving some FQAs (including those associated with consistently unfished quota) to provide incentives for community quota schemes. The consultation also seeks initial views on the potential introduction of a rights-based management system for shellfish, beginning with brown crab and lobster. 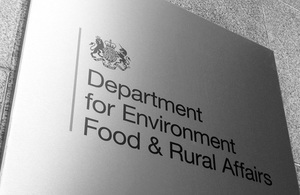 The consultation can be found at www.defra.gov.uk/consult/fisheries-1104/. Small-scale fishing fleets and communities with fishing heritage have the potential to deliver significant cultural, environmental and economic benefits, but the current arrangements make it difficult to maximise these benefits. A set of proposals for fisheries management reform in England have evolved from the Sustainable Access to Inshore Fisheries (SAIF) project, which was established to look at finding long term solutions to the difficulties facing the English under-10m fleet. The proposals have been developed in consultation with industry representatives, also drawing on the research and recommendations of the SAIF Advisory Group, with the aim of placing the whole English fleet onto a more sustainable footing.